Choosing secured business loans over other types of loan options can offer a few benefits. There are a lot of different loan programs out there to choose from that are unsecured loans but they are usually not in your best interest. When you are running a business, you need to take every financial decision very seriously. Other people's livelihoods are at stake and you want your business to succeed. Here are a few reasons that you should choose a secured business loan over an unsecured one. Secured business loans are always going to have a lower interest rate than what you could get from an unsecured loan. Since the lender knows that they can foreclose on a piece of property if they had to, they do not have to charge you as much in interest to make up for it. When there is no property securing the loan, they know that they have to charge everyone enough to make up for those that default. Therefore, you could pay a substantially higher amount of money for the unsecured loan option than you would for a secured one. As a business owner, any way that you can save money is going to be to your advantage in a big way. Another major advantage of getting a secured loan is that the lender is going to give you a longer repayment period. 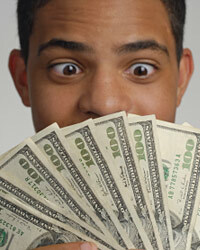 You could get several years more to pay off the loan than you would get with an unsecured loan. They feel confident giving you a longer period of time to pay it off because they have that collateral to back the loan. Having a longer payoff term can make your loan terms a lot easier to deal with. You can budget for the long term easier and know exactly what everything is going to cost. As a result of the longer repayment term and the lower interest rate, your monthly payment is going to be substantially lower in most cases. When you are running a business that is trying to get by, you need all the low payments that you can get. Having a low payment will give you financial flexibility in other areas. This can be very helpful when trying to stick within a tight budget. Getting a secured business loan will also enable you to get a bigger loan. Unsecured loans are based purely on your reputation and your credit. Therefore, they can not give you as much money for these types of loans. They are very risky and they could result in a large sum of money that is never paid back. With a secured loan, at least they know that they can foreclose on the property and get their money back. This will enable you to do bigger and better things with your business in the future. Stock Secured Loans and Savings Secured Loans ComparedOverview of Secured TransactionsSecured Car Loans ExplainedWhat Is a Secured Car Loan?